Spectacular storytelling. Words are not enough. Most works of fiction follow a linear timeline—one event after the other—much like a film. But this exceptional story is nothing like I’ve ever read before. It’s like she is painting for you, and each painting is coming together to form a grander painting. 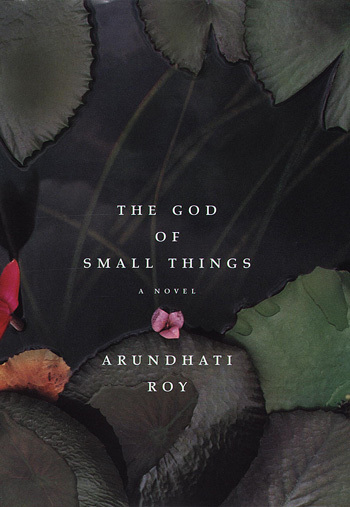 Arundhati Roy weaves magic with words. She plays hide & seek with the story. Each chapter throws light on a different time, from a different angle, of a different colour, in a different flavour. She will evoke the most bizarre combinations of emotions—you will laugh at a death and cry at a victory. Two twins (Estha & Rachel) with a past filled with scars of the games that the grown-ups play. Hypocrisy, discrimination, love, hate, lust, anger… you name it, she has it. All colours. Any colour. But The God of Small Things isn’t about the story. It’s about storytelling. Arundahti Roy breathes life into words and like cells of a fertilised egg, they decide to multiply & divide. And together they become & birth this leaving breathing story. It comes alive. And it has everything and nothing to do with you. At the same time. I’ve never read anything like this before. From the moment I started reading it, I was under a spell. I was completely under control of this collection of pages in my hands. And she took me where I’ve never been before. It’s so wonderful that I don’t even care what the theme is. I am in complete awe of the way this story is told. Spectacular. Words are not enough. Published on February 17, 2014. Updated on February 17, 2014.